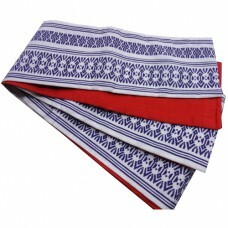 The obi (帯) is a belt for Japanese traditional kimono. Beautiful black silk fukuro obi with kikkou (hexagonal pattern like honeycomb or tortoise shell) wit..
Chikuzen hakata hanhaba obi in a dark blue/white pattern and red at the back. 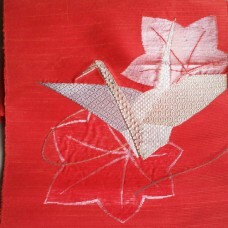 Hakata obi can be worn..
Beautiful vintage nagoya obi in red with embroided origami cranes and maple leaves. Click on th.. 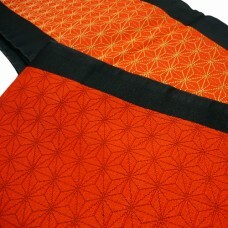 Synthetic hanhaba obi with kikko and mon. 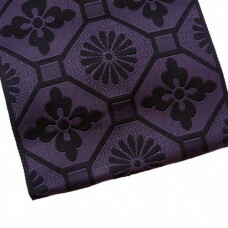 A light side (purple with black) and a darker side (black .. 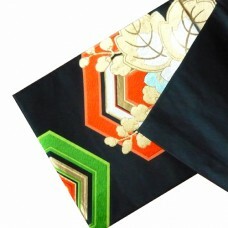 Synthetic hanhaba obi with black and red with yellow asanoha (Japanese hemp pattern)Dimensions: 340 ..